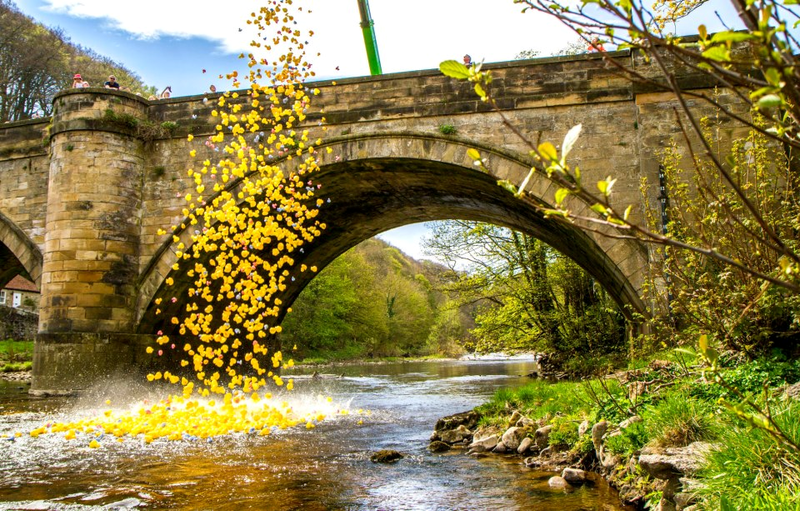 Richmond Duck Club exists to raise money for young peole in the town of Richmond, North Yorkshire and its surrounding villages. Events are organised and funds are raised to benefit individual and groups of children in the local area. Funds raised can go towards things like, a set of sports shirts for a local youth team; equipment for special needs students; or the trophies awarded every June to the young sportsperson of the year local to Richmond. Ready to go, the race is about to start. 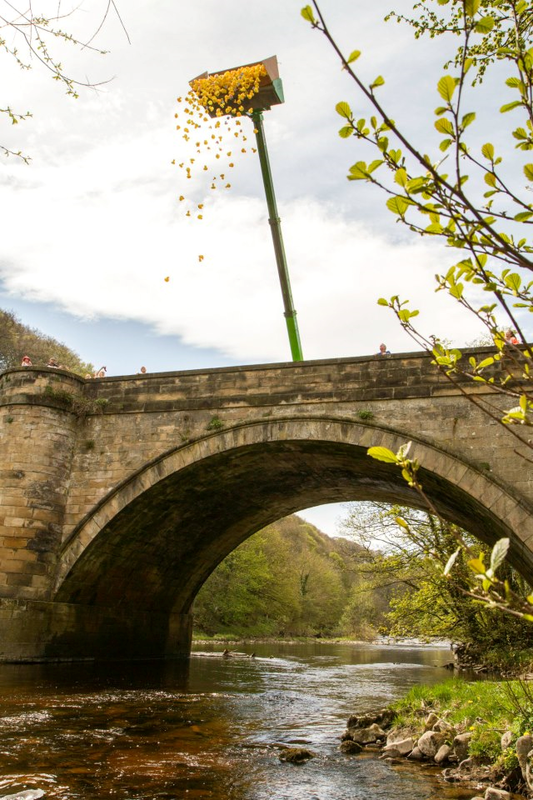 waterfalls to the finishing line at the Batts near the Station Bridge. 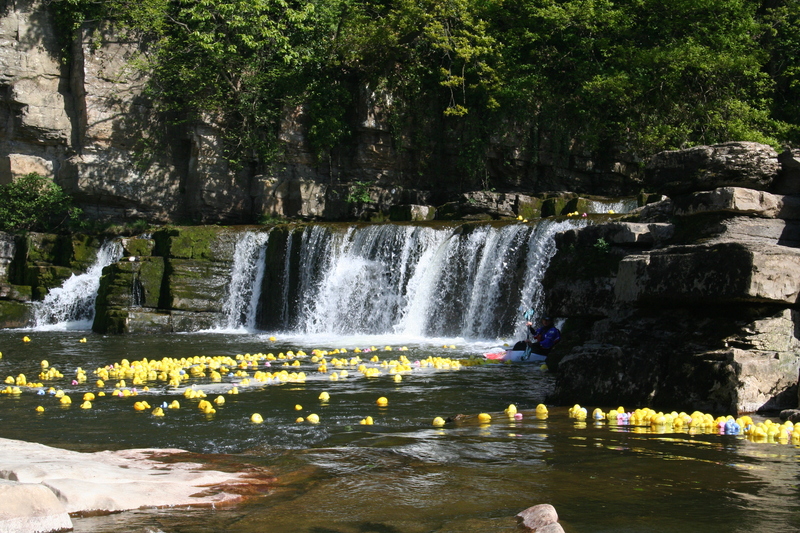 Money is raised through ticket sales and prizes are awarded for 1st, 2nd and 3rd place as well as the last duck home. 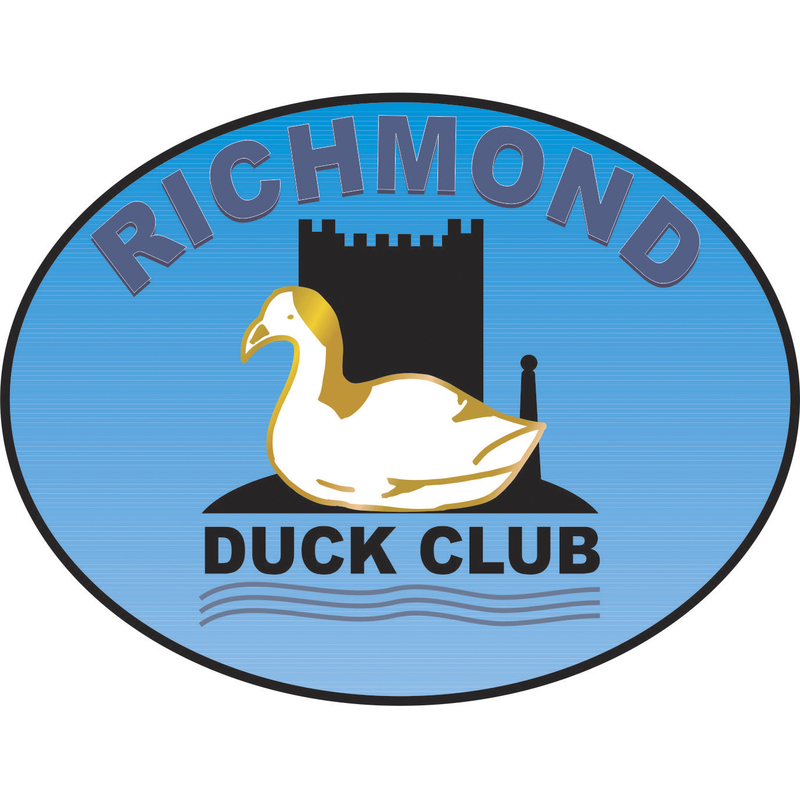 Duck Club Sports Day – While our written archives are incomplete, it is lore that the Duck Club was incepted to run a Sports Day for the children of Richmond; and it is the Club’s main focus through the year. It is held each year on August Bank holiday at Richmond Cricket Club starting from 1pm in the afternoon. 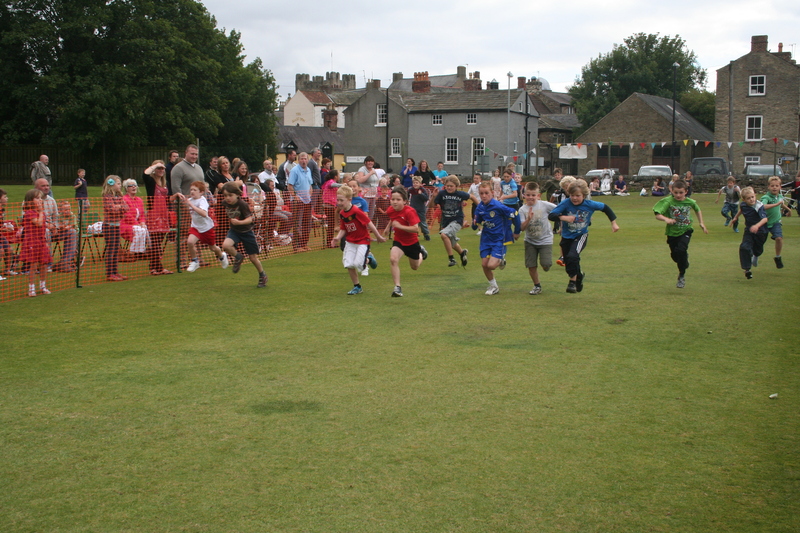 There are many events for children and also parents to take part in, with prizes for the winners. The Friary Gardens Christmas Lights – Originally the Friary Gardens Christmas Lights were maintained by the Chamber of Trade but Richmond Duck Club stepped in when they were unable to continue. The Duck Club continue to maintain the annual Christmas lights to provide a focus for children at Christmas. The Christmas Parrot is the most notable of the figurines. She has been kidnapped several times, although no ransom has ever been paid because Duck Club policy is never to negotiate with kidnappers! it is hoped that no further attempts are made because she really is very fragile. The Shop Window Competition – The Duck Club sponsor a special trophy in the annual shop window competition. It is special because it is awared by judges who are all of primary school age and who bring that special child’s perspective.